OS X Lion, the newest version of Apple’s operating system targeted at Mac computers, has sold 1 million copies since it became available yesterday, Apple claims, making this release the fastest-selling version of Mac OS X in Apple’s history. Lion is off to a great start, user reviews and industry reaction have been fantastic, […] Lion is a huge step forward, it’s not only packed with innovative features but it’s incredibly easy for users to update their Macs to the best OS we’ve ever made. In order to download Mac OS X Lion successfully, users must be running Mac OS X 10.6.8 which was released several weeks ago. The new system is available straight from the App Store and installable just like any other standard application: after downloading the standard executable, just run it and follow the on-screen instructions. No boot media is necessary. For users without access to a broadband network, Apple unexpectedly announced yesterday that it plans to ship USB sticks with the Lion installer for over three times the cost as the standard license: $69. For those who wish to use this method instead, said thumb drives will be available in August. 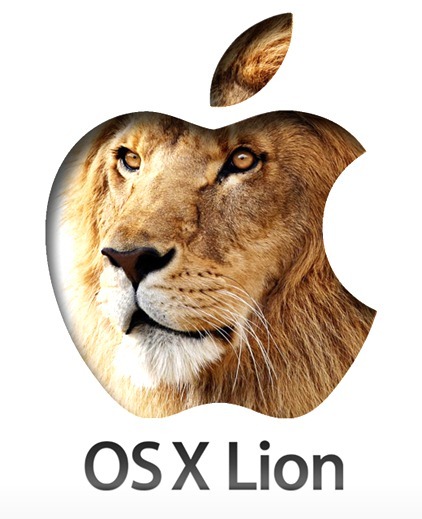 OS X Lion is the latest version of Mac OS X, Apple’s operating system for its Mac lineup. The new system borrows some functionality and user interface paradigms from iOS in order to create a reliable and very touch-friendly operating system. Features like Mission Control allow all open windows, spaces and the dashboard to be visible from one single view, while Versions extends Time Machine, Mac OS X’s backup feature, in order to work from within apps, allowing users to restore previous versions of a document with just a few clicks of the mouse. Judging by the results so far, Apple has every reason to be proud of the new Mac OS X. If you haven’t downloaded it already, what are you waiting for?